When looking back at the screen career that could have been, I find that while I never became a household name I met some wonderful film stars over the years and if it wasn’t for some bad breaks and the jealousy of some others my star would have risen to greater heights. Opening the vault of long forgotten film clips I have pulled out just a few stills of the roles that eluded me. 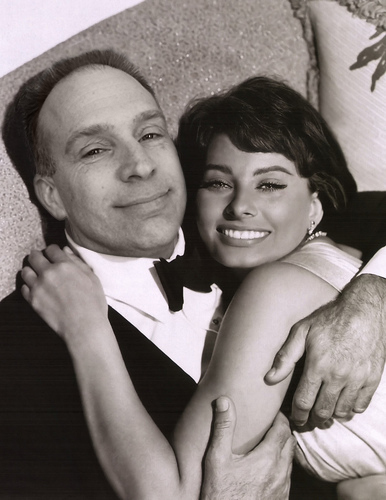 In 1958 after being cast as the lead in Houseboat opposite Sophia Loren it soon became evident during the dailies that the screen chemistry between myself and Sophia was electrifying. This didn’t set well with her hubby and producer Carlo Ponti and though I was never told outright, I am sure it was at his request that I was removed and subsequently replaced by Cary Grant. Sophia cried the day I walked off the set. When John Wayne set out to film his dream project of The Alamo he originally had intended to just direct it. 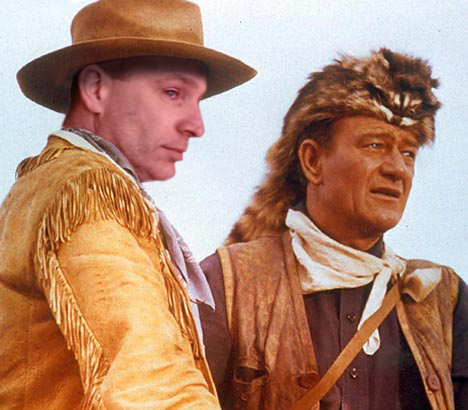 I was initially cast as Davey Crockett but when the financiers insisted Duke play the lead I graciously stepped aside and took on the role of Jim Bowie. When a stunt early on in production went terribly wrong I suffered a broken leg. Incapacitated for up to three months Duke being the man he was wanted to shut production down and wait for me at a great personal cost to himself and the mounting budget he was already facing. 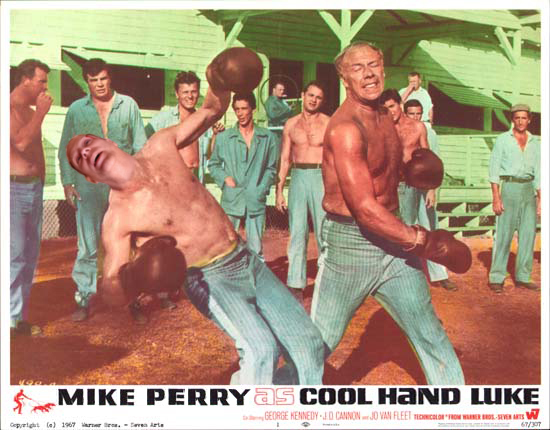 I couldn’t let him do it and placed a call to long time friend Richard Widmark asking him to step in for me. Without hesitation Widmark flew to the set and thankfully my western outfits didn’t have to be resized. I never was really sure why I rubbed Sinatra the wrong way. I love both his music and the films he starred in. Little known fact but the original script was Ocean’s Twelve and what a great time I was having working with these guys. Problems began for me when I would belt out Hank Williams tunes and Dino would join in. Even Henry Silva would take a turn singing harmony with Norman Fell. All of a sudden I seemed to be the go to guy when the camera wasn’t rolling. It wasn’t a conscious thing or intentional on my part. Frank didn’t seem to like the fact that maybe he had some competition as the head man off set. When Dean and Sammy joined me on stage in Vegas and Frank found out, I was out! 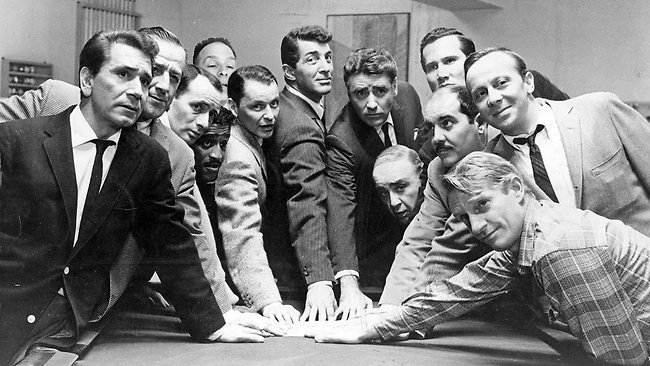 The script was changed to what we now know as Ocean’s Eleven and the famed photo had to be retouched. Looking at the original photo after all these years it’s kind of obvious just who was keeping me on the outside looking in. Here’s a role I really wish had worked out by my temper got the better of me. After landing the role of Luke we filmed the boxing scene on the first day of shooting. Me against the mountainous George Kennedy. The testosterone was flying and while Kennedy was knocking me silly the other actors were having a lot of fun at my expense egging me on to land some shots of my own. 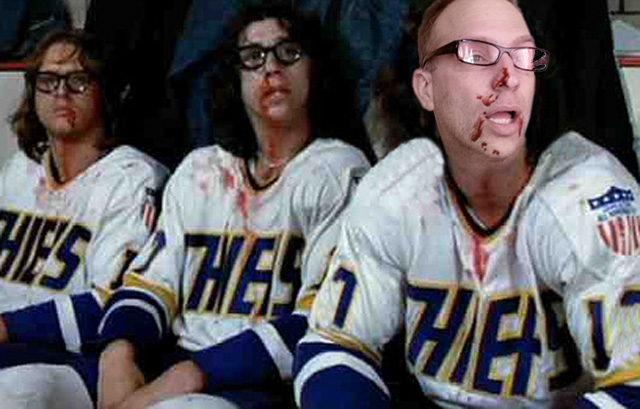 My blood pressure was rising and when Kennedy missed his mark landing a solid shot to my jaw I was not happy. With the peer pressure of my fellow inmates and my competitive nature I was ready on the next take. Kennedy threw the uppercut, I stepped to the side and landed a thunderous left hook to his own jaw knocking him cold for a solid two minutes. All hell broke loose and the director Stuart Rosenberg promptly had me fired as an onset troublemaker and took on the producers second choice Paul Newman. I was happy for Paul as he always seemed like a nice guy. Wished I could have worked with him along the way. Cast as number 11 Victor Franko was going to be my breakthrough. 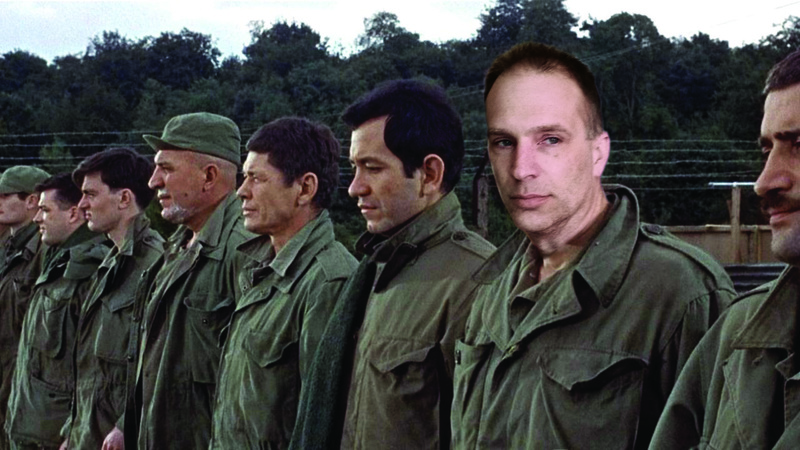 It was a showy role in The Dirty Dozen and thinking I’d go into the method I took on the fight against authority just like my character. I was soon at odds with director Robert Aldrich and the film’s producers. When it became evident while watching the dailies that I was coming across “tougher” on screen then my costars Lee Marvin and Charles Bronson, Aldrich replaced me with that part time director John Cassavetes. Both Bronson and Marvin tried to step in on my behalf like the pals they were but I was in character to the end and told Aldrich so as I caught a plane from England where we were shooting and headed home. Opportunity missed. Lastly don’t forget to flip your calender as it’s April 1st. Sophia often told me how fond you’d been of her during that short while. Oh, how we laughed about it. Poor kid, she tried to be brave. Man, thanks for the BIG chuckle. I’d forgotten today’s the day for attempts like this, but you were the first to remind me. So now I’m ready for anything. Glad it hit the funny bone. Have a good day and keep your eyes wide open! THIS IS AWESOME!!! I love that photo of you and Sophia. Fabulous photoshopping here. I wish I’d thought of this! Thanks. It was a whole lot of fun making this up. I have been sitting on it for a week itching to post it. brilliant! 🙂 I too marvel at your photoshop skills. To echo John’s comment I had the chance to speak with Sophia this past weekend and it’s true, she still speaks of you wistfully. I still have fond memories of my days on set with Miss Loren. Terrific, Mike – great April 1st post that had me grinning. And I’ll add my commiserations on that rotten break on Houseboat. It was a tough break because of the jealousy of another. Hard to blame him though. She was and is something special. lol. Thanks for dropping by for my look back at what could have been. I believed all of this ’til I got to the words ‘When looking back’. Very funny, Mike, and I must say, though all the photos are great, that shot of you and Sophia cracks me up every time I look at it…I would have that same damn smug look on my face, too, if Sophia were in MY arms. I hope you have that photo framed and sitting on a desk somewhere! I should put that one on my office desk so when my customers come to see me we’ll see who is a film fan and who isn’t. lol. Glad u like my fools day gag. Oh how I love the “Ocean’s Twelve” with you peaking over the back. Aldrich should of kept you in alongside John Cassavetes and renamed it The Dirty Bakers Dozen! I broke Sophia’s heart having to bow out as well. Believe me, it hurt me way more than it did her!